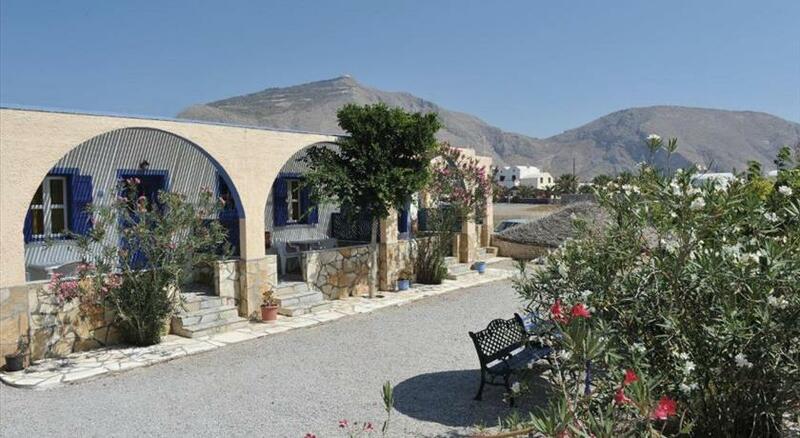 Villa Markezinis is located in one of the most popular spots of Santorini , Perivolos black sandy beach . You will find a quite, chill-out and friendly atmosphere where you can combine the cosmopolitan style of our guests with the service and hospitality of a young Greek owner, and just 150m away from the beach in countryside surroundings. All children are welcome. All children under 2 years are charged EUR 15 per night for children's cots/cribs. All children under 16 years are charged EUR 20 per night for extra beds. All further older children or adults are charged EUR 20 per night for extra beds. The maximum number of extra beds in a room is 1. Please contact the hotel in order to arrange transfer service from the port or the airport.